Mark your calendar for the big re-grand opening of the ever popular Fire Station Number 1 at the Children’s Museum of Denver. This extremely popular on-going interactive fire department exhibit has been temporarily closed for construction – but don’t miss the big reveal! 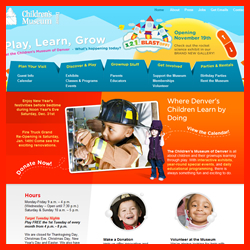 The party begins at 10am – come and celebrate fire safety with the Denver Children’s Museum.